The 23-year-old right-handed pitcher, whose power at the plate as well has sparked comparisons to slugger-pitcher Babe Ruth from a century ago, is starting his first North American campaign after five seasons in Japan, where he helped the Nippon-Ham Fighters to the 2016 title. Ohtani, according to the Angels’ website, threw 52 pitches and showed mastery of secondary pitches as well as a strong fastball while surrendering only one hard-hit ball at a ballpark in suburban Phoenix, Arizona, in his second pre-season appearance for the American League club. He has now worked four innings in two pre-season appearances for the Angels. Last Saturday, also against Milwaukee, Ohtani struck out two batters, walked one and allowed two hits, including a home run. Ohtani did not bat against San Francisco on Thursday as part of the Angels’ plan to rest him as a hitter on days before and after a pitching appearance. Angels manager Mike Scioscia said the team might revisit that idea once the regular season opens at the end of the month. “When the season opens up, we’ll obviously look very closely at it,” Scioscia said. “There is a lot of effort a pitcher has to put into pitching, and obviously it might erode some of the opportunities he has to hit. 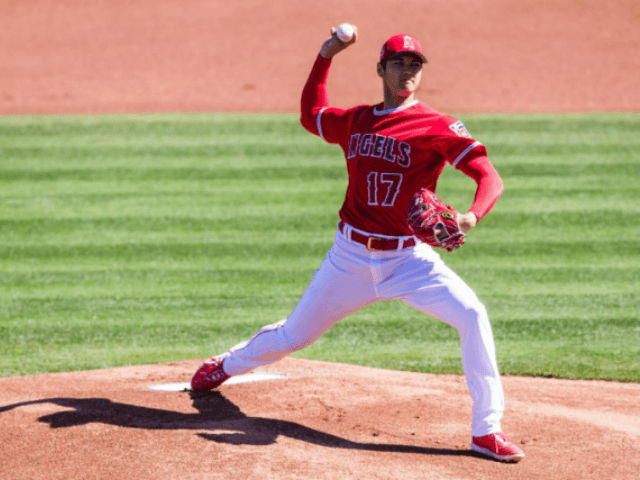 Scioscia has said that Ohtani will not be used as a relief pitcher in games where he is used as a designated hitter since that would cause the Angels to lose the designated hitter spot for the remainder of any such game.